Our customer had a block paved driveway with lawn area that featured a small well. 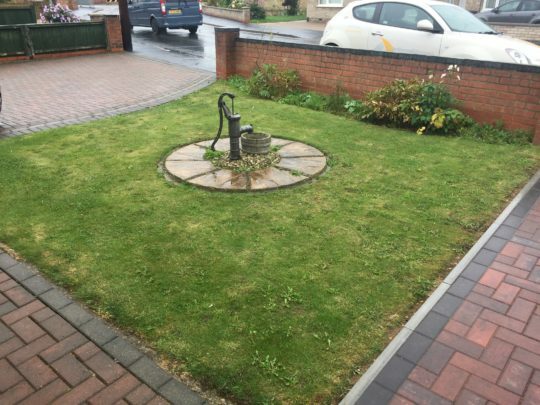 They were fed up with the maintenance of the grass and wanted to use something that would compliment the existing block paving but would require next to no maintenance. They had seen some of our other work on Facebook and asked us for a free quotation. 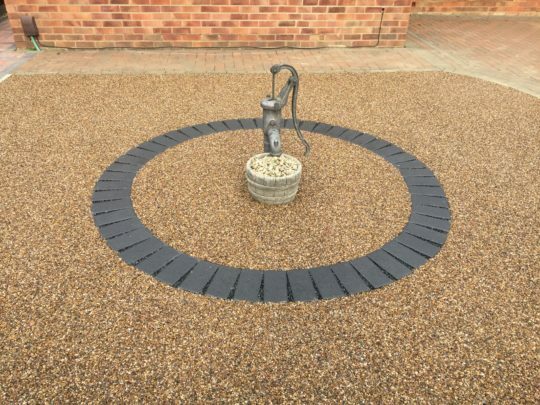 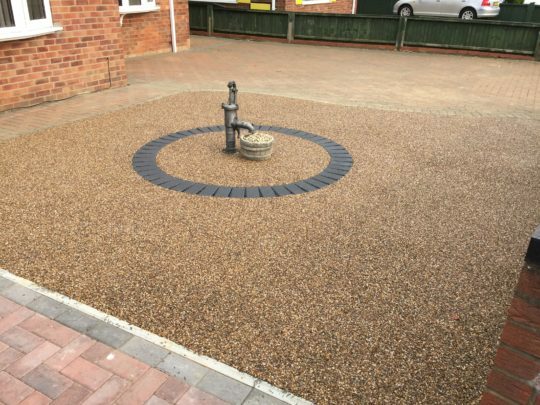 After deciding that a resin area would be the perfect material to use, the customer chose Britney Bronze as the colour aggregate to compliment the rest of the driveway. The lawn area was excavated and a new concrete base installed. To make a feature of the well it was decided that new edging blocks would be installed around the area to make it stand out. 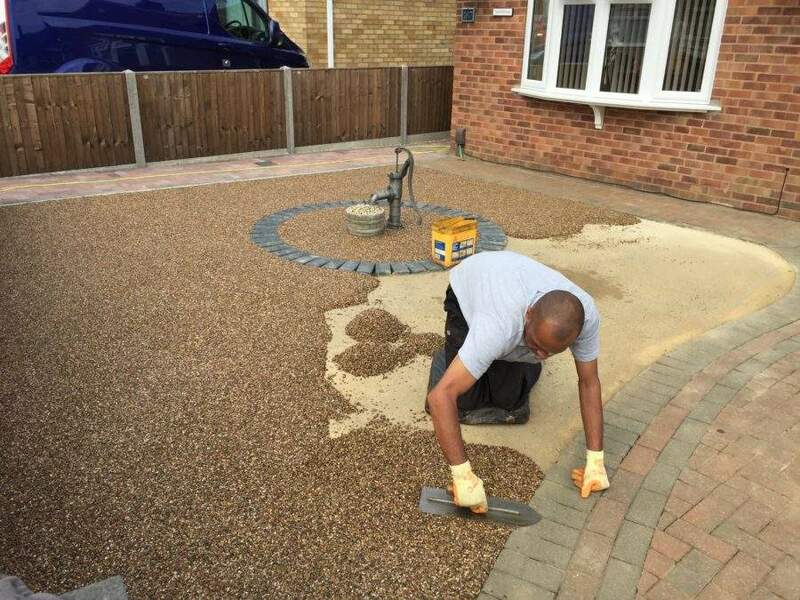 Once the base was fully cured we hand trowelled the aggregate at 18-20mm bound in UV resistant resin for vehicular traffic so the area could be driven on if and when required.